Emanuel Lasker, who reigned as the World Chess Champion for 27 years (and was also a world famous mathematician), noted that, “On the chessboard, lies and hypocrisy do not survive long.” If only the investors in sub-prime mortgages, real estate, Bernard Madoff accounts, internet stocks, and all the other bubbles, had taken heed of his wisdom! The hype that drowns people in bad investment ideas, compounded by the greed that drives them to try over and over again to get rich following the same protocol, could be mellowed with a pinch, or better yet, a pound of precision. A game can so easily be lost because of one captured pawn or a missed opportunity. 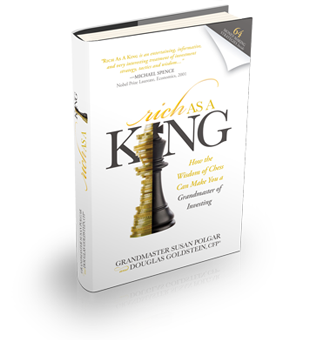 As former New York Times chess columnist Israel Horowitz noted, “One bad move nullifies forty good ones.” Grandmasters know the importance of making sure that each move counts, and that no opportunity is wasted. Applying the precision of a chess player to the decisions of an investor is a very welcome combination.